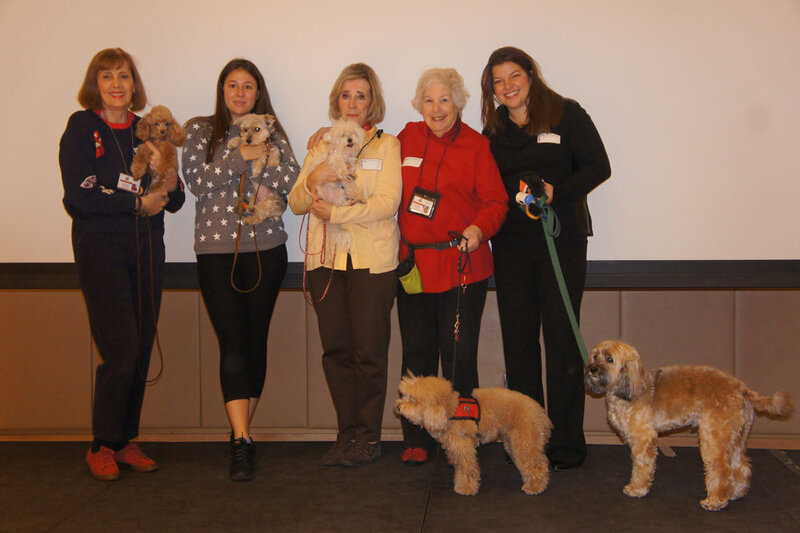 The phrase “man’s best friend” as applied to our canine comrades took on a new meaning when a group of therapy dogs and their owners/handlers from New York Therapy Animals visited Browning for a Lower School assembly on November 10. 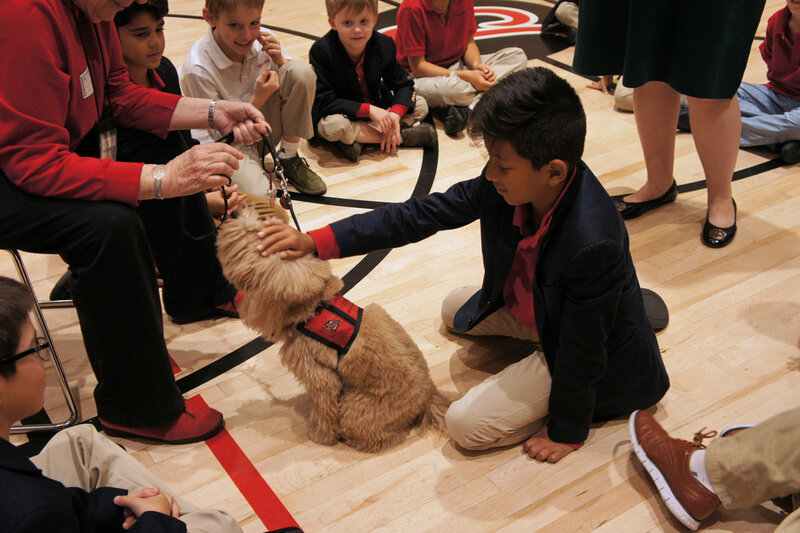 These furry friends touch the lives of boys and girls, men and women, when they pay a comforting call to schools, libraries and hospitals on a regular basis. Browning boys learned that these therapy dogs are petted, read to and just generally loved by everyone they visit, whether it is a person undergoing cancer treatments, a harried hospital nurse, or a shy child who prefers to read aloud to a dog rather than a human. They also learned that these dogs need to be trained to understand commands such as “sit” and “come.” Their fur and teeth need to be brushed, and they must be protected from eating harmful foods like chocolate, raisins and certain plants. The boys asked and answered numerous questions during the course of this lively and heartwarming program. 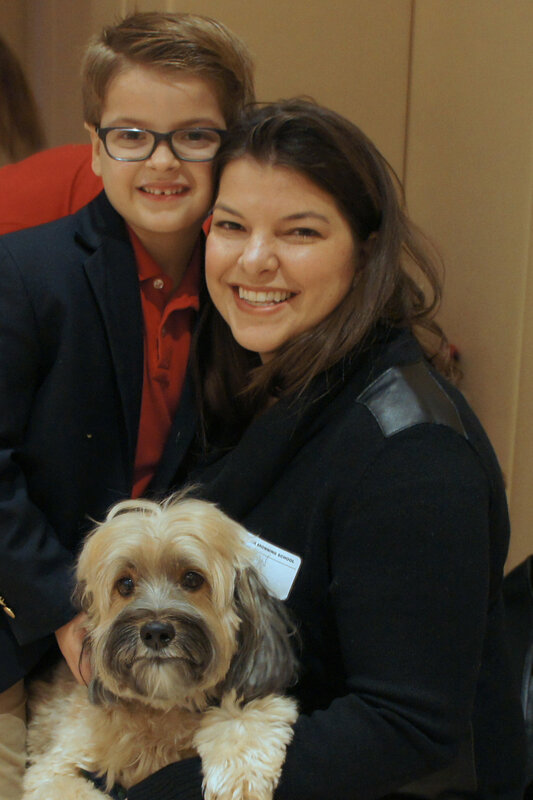 Second grade teacher Rachel Gerber, who led the assembly, noted, "I am thrilled to create a relationship with New York Therapy Animals and Browning. We look forward to more visits with the dogs, hopefully in settings such as the library during reading time and with the older boys before exams." 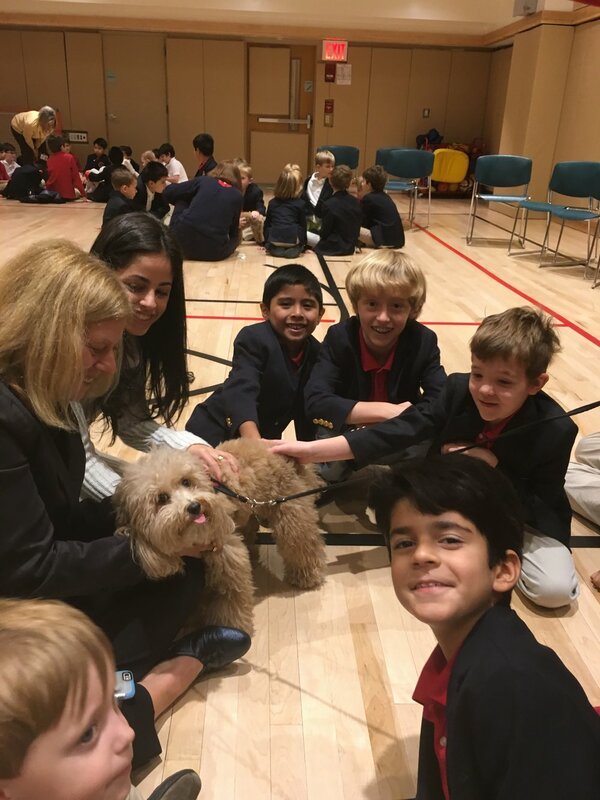 Best of all, once the formal assembly concluded, Pre-primary boys and their fourth grade "buddies" got the chance to pet the "doggie visitors," making for one of the best Browning mornings ever!